In times of survival, in addition to the survival gear, having the right kind of survival tools and weapons is pretty necessary as well. You never know what kind of situation you would face in emergencies. That is why having the right kind of weapons is always a positive as well. 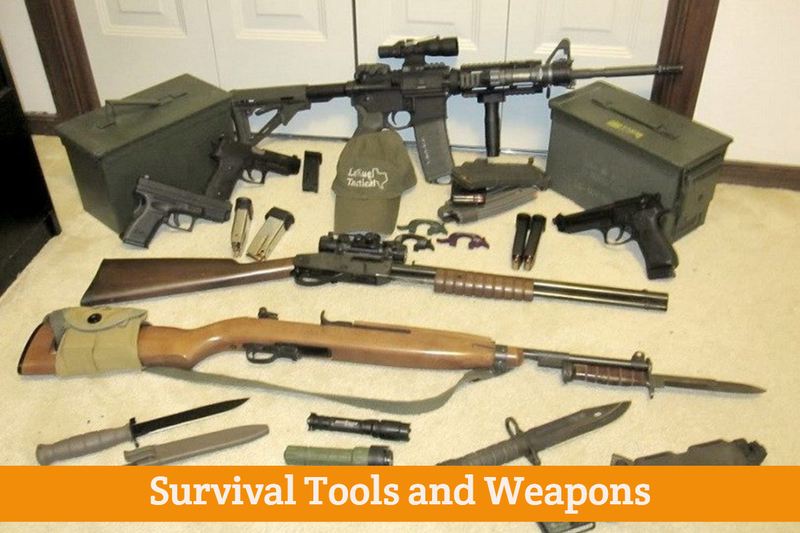 We would today share with you five different weapon options which you can carry along with you whenever you are in such a survival situation. Even though this is not the conventional weapon which you would have thought of in survival situations but it can actually help you in protecting you quite easily. This is actually a sword which can be attached to your forearm. This makes it much easier to operate as well. Also, it is very easy to assemble as well. It does not take a lot of time as well. The main advantage of this is that the blade is at least 17.3 inches long. This ensures that you are having a lot of power in order to protect yourself. Since it can be attached to your forearm, you would be able to use it with a full force quite easily. 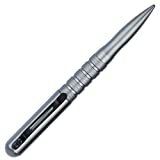 If you’re looking for something more subtle, this tactical pen is the perfect option for you. It comes with a padlock which ensures that you are able to keep it along with you at all points of time. Moreover, it can be used as a Glass breaker as well. Also, it can be used to attack any animal or any person as well. The pen is 5.75 inches long. This ensures that you are able to use it quite easily. The nib of the pen is pretty sharp which ensures that you can use it as a tactical tool as well. The next weapon on our list is also a pen but it is more functional as well. 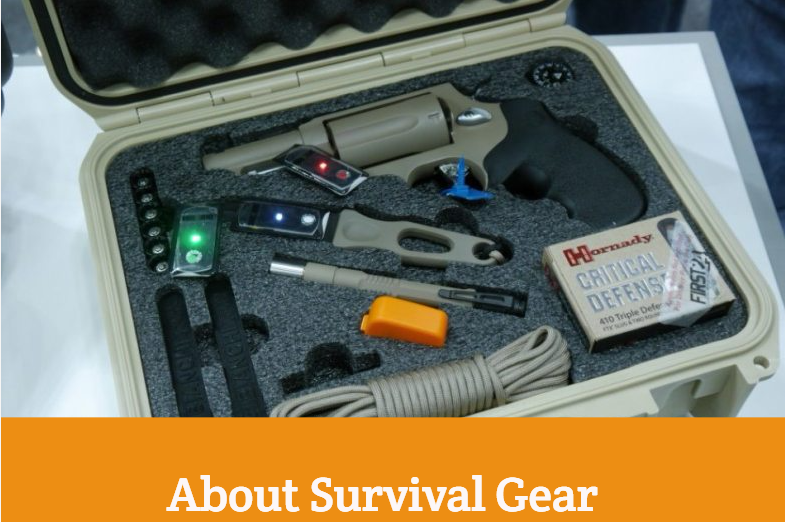 It can be used as a survival gear and also it has a LED flashlight as well. It can work as a Glass breaker as well and also can be used to defend yourself in times of emergency by using it as an attacking tool. 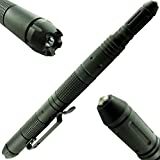 If you’re looking for a more versatile pen, this one is better with a LED flashlight. The next item on our list is the conventional knife. 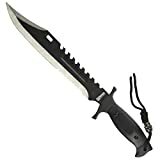 It is a fixed Blade knife with the blade size of 11 inches. This ensures that it is much more lethal as compared to the smaller knives. The overall length is around 16 inches. Also, the blade is made of stainless steel which ensures that it can easily last for a longer period of time. It comes along with the nylon sheath. Thus, if you’re looking for a bigger knife in order to protect yourself in any kind of emergency, this one is the perfect option for you. 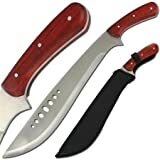 If you’re looking for a machete which you can use in order to protect yourself, this one is a good option for you. The size of the blade is around 13 inches and the size of the handle is 5.5 inches. Also, the blade is made of stainless steel 440. This ensures that you would be able to use it easily. It is versatile and can be used for cutting as well as skinning. The wooden handle would ensure that you are able to get an excellent grip. It comes with a shoulder strap which ensures that you are able to carry it around with you quite easily. 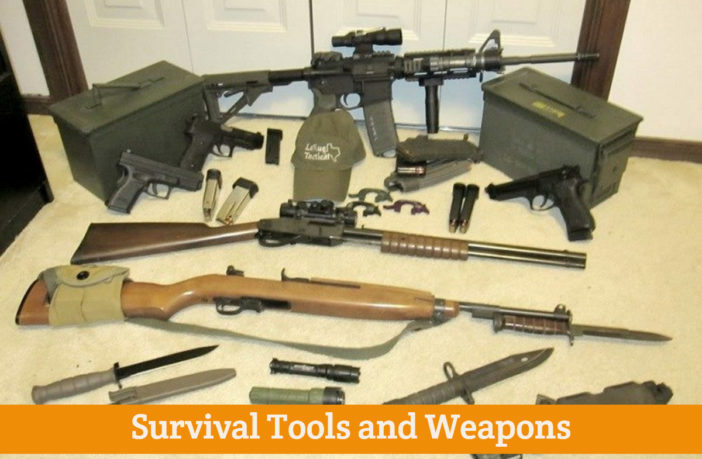 So, if you’re looking for survival weapons which can be used to protect yourself in any kind of emergency, these are the 5 weapons which you should definitely look into.